HearSayLW: What is Speech Tracking? Speech Tracking is an Auditory-Verbal Technique used for improving listening and spoken language skills. 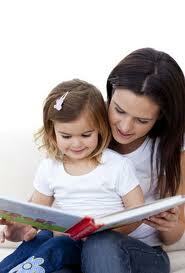 It is a process in which the child is asked to repeat verbatim or word for word a story which is read aloud. 1. The parent or Auditory–Verbal Therapist reads a passage to the child and the child repeats exactly what s/he has heard. 2. 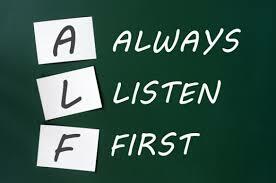 The information is presented through listening alone. 3. After the child tracks then s/he is reinforced by seeing the illustrations. Why Is Speech Tracking Effective? Children learn to talk by saying what we hear and hearing what we say. This is the natural way children learn the language of their family. 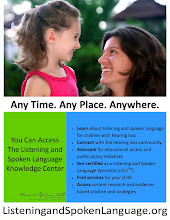 Speech tracking incorporates the child’s Auditory-Feedback Loop to self-monitor his/her speech and spoken language. Children who are deaf or hard of hearing with natural sounding speech have developed this by using their Auditory Feedback Loop by listening rather than looking. Too much emphasis on visual cues most often leads to unnatural sounding vocal pitch, melody, volume and exaggerated speech patterns. 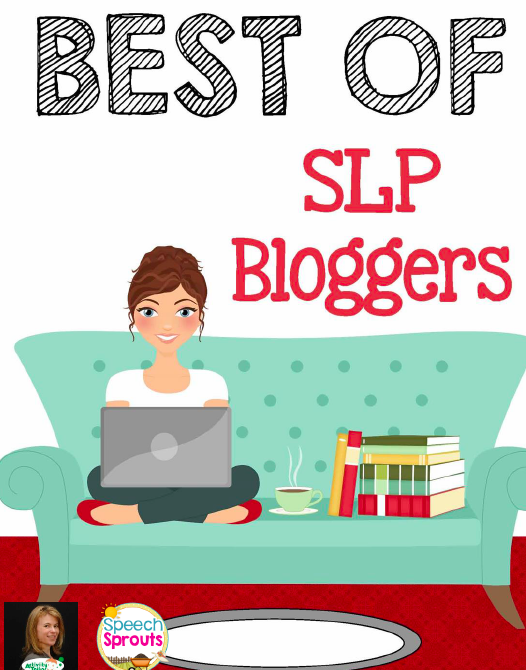 It is impossible to lip-read or learn natural suprasegmentals of speech through vision. Hearing not vision conveys this information. MATERIALS: The material you select should be within your child’s language level, an interesting topic or story to hold your child’s attention. If it is too easy your child will be able to guess at the words s/he misses auditorily. 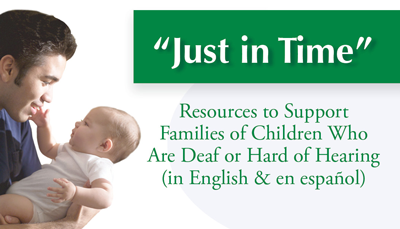 If the language level is too high, your child will become frustrated and want to give up. Storybooks are most commonly used but a child’s homework reading can also be included as well as personal stories told about the child’s own experiences. Attentive listening and remembering are easy when children begin to look forward to speech tracking at bedtime. Many of my AV families’ speech track one book and then Mom or Dad reads the other nighttime stories. TARGETS: You may be surprised how many fine errors your child makes that you do not notice in ongoing conversations. Use acoustic highlighting techniques to correct fine discrimination and thus production errors. These errors are often in unstressed words or morphology, those that are uttered quickly and tend to be concentrated at the high frequency end of the speech spectrum. · Past tense verb forms ending in |d|, |t|, and |ed| and irregular forms such as "fall/fell" which differ only by an embedded vowel. When your child misses part of the word, phrase or sentence, simply repeat it again. If your child continues to miss it try a shorter phrase, slow down, or alter your pitch. You can emphasize key words or unaccentuated words. If you want to keep track of your child’s progress, Speech tracking can be scored in number of words correctly repeated per minute. You may want to do this once a month to see progress over time. 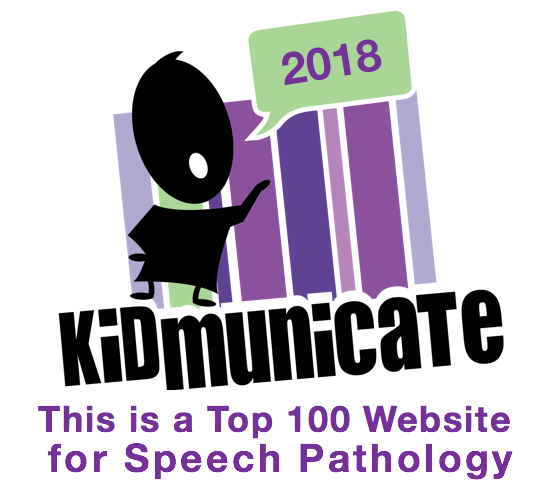 Please note: Speech Tracking is very effective for children with Auditory Processing Disorders who have some of the same spoken language needs. Time to Schedule Summer Therapy!